BBC One have posted a set of GIFs from their new Original British Drama trailer on their official Tumblr page. The trailer will debut online tomorrow morning at 9am. 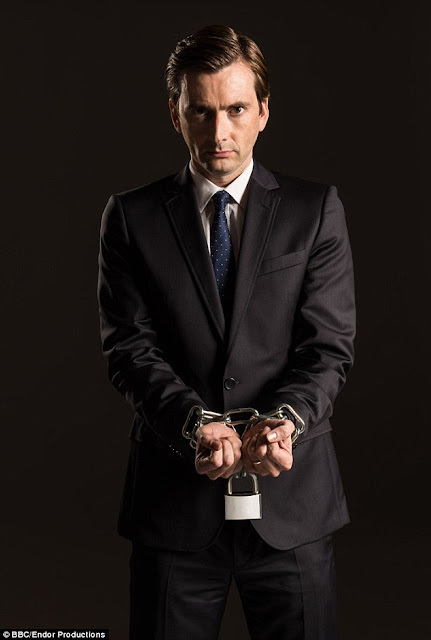 The images include a brief glimpse of David Tennant as threatened barrister in The Escape Artist which is expected to debut on BBC One in October (tbc). The series also stars Ashley Jensen, Toby Kebbell and Sophie Okonedo. A limited edition 1:6 scale figure of Doctor Who's Amy Pond (Karen Gillan) is being auctioned on eBay to raise money for CMT United Kingdom. CMT United Kingdom work to support those who are affected by Charcot-Marie-Tooth Disease, also known as Hereditary Motor and Sensory Neuropathy or Peroneal Muscular Atrophy. Click here to view the listing and place a bid on the figure! As well as the auction, Doctor Who fans Sarah Campbell and Andy Watson held a 72 hour "Awake-a-thon" with a Doctor Who theme and raised over £1400 for the CMT United Kingdom! For more info visit CMT United Kingdom here. BBC One will include exclusive first look footage of The Escape Artist starring David Tennant in their brand new Original British Drama trail which debuts tomorrow. The new trail will be posted online at 9am tomorrow morning and will also include first glimpses of the new series of Sherlock and of Peter Capaldi in The Musketeers, both due in 2014. The BBC have not stated whether the trailer will feature any footage from the Doctor Who 50th Anniversary special starring David with Matt Smith and John Hurt. 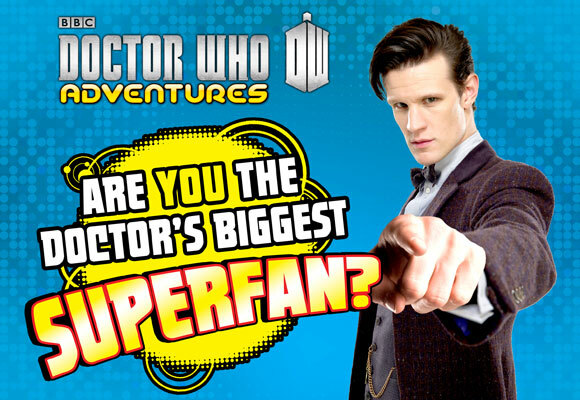 Doctor Who Adventures have launched a competition to find the UK's biggest Doctor Who superfan. The lucky fan will win a Cyberman visit to their school and a once-in-a-lifetime experience to celebrate Doctor Who’s 50th anniversary! Doctor Who Adventures magazine, aimed at pre-teen Whovians, is on the hunt for the nation’s biggest young Doctor Who fan with the prize of a Cyberman visiting their school and a VIP family ticket to the Doctor Who 50th Anniversary Celebration at the ExCel Centre in London. Open to children aged between 5-13 until 2 October 2013, fans need to send up to 250 words explaining why they should win the competition and a photo demonstrating why they’re the ultimate Who fan. 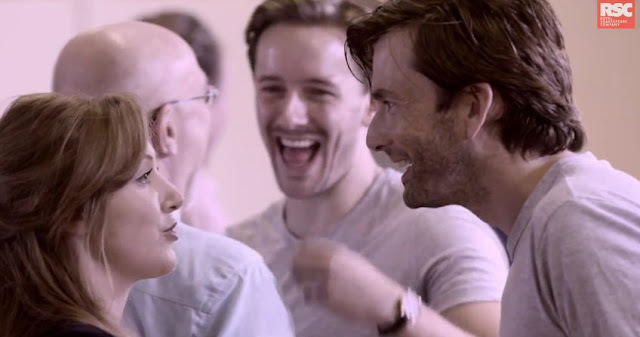 While visiting Stratford-upon-Avon yesterday with the company of Richard II, David Tennant also stopped off to make a contribution to a local year-long animation project. The 365 Film project is the brainchild of animation duo The Brothers McLeod - Greg and Myles - who have worked on a number of animated projects for the BBC, Nintendo and Playstation as well as directing some high profile commercial campaigns. 365 will be created by animating one second a day so that a film will form itself over the course of 2013. Stills of each day's animation will feature on the project Facebook page. Animation will appear once a month. David's one second long voiceover section will be used on today's section, and the animations for August are due to be posted on Facebook on Monday. Tonight sees the premiere of the latest in the series of BBC America specials exploring each of the eleven incarnations of the Doctor. The brand new episode focuses on the Eighth Doctor played by Paul McGann. 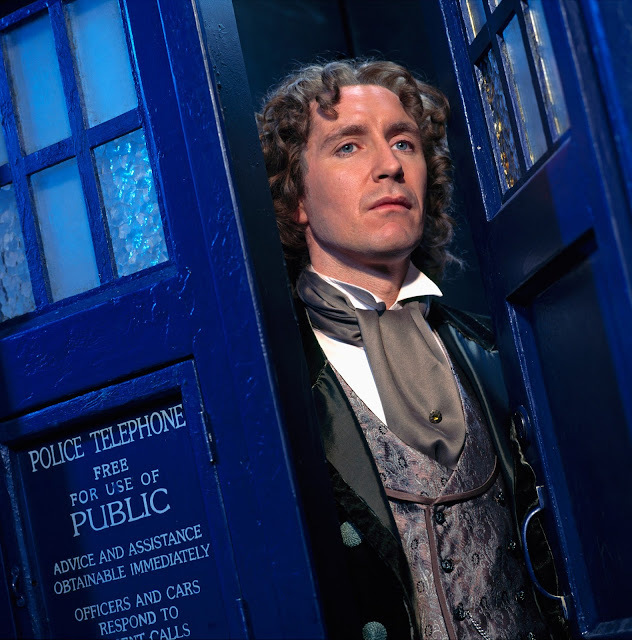 BBC AMERICA celebrates the Eighth Doctor, Paul McGann, in a new special of Doctor Who: The Doctors Revisited. McGann (Luther) played the Eighth incarnation of the Doctor in the 1996 Doctor Who television movie, which was the first time the Doctor had returned to TV since the end of the original series in 1989. The special begins with lead writer and executive producer Steven Moffat, Eighth Doctor companions Daphne Ashbrook (Dr. Grace Holloway) and Yee Jee Tso (Chang Lee), among others, examining what made the Eighth Doctor unique and discuss a new take on the Doctor’s old enemy the Master. The Prince Charles Cinema in London are hosting a David Tennant Tennant Day Doctor Who event on Sunday 27th October from 1pm. They will be screening four episodes from the Tennant era that were voted for by followers on their Facebook page: The Girl In The Fireplace, Blink, Midnight and Turn Left. There will also be fun, games and giveaways. For more info on the event visit The Prince Charles Cinema website here. The first of Gregory Doran's Richard II production diaries has been posted to the Royal Shakespeare Company YouTube channel. There will be twelve diaries in all during the weeks leading up to the live broadcast of the play into cinemas from Stratford-upon-Avon on November 13th. Gregory promises that these will take in rehearsals, including the Tech rehearsal and will look at the design departments as they build the sets and craft the costumes. Gregory talks about what the play means to him and how he will be approaching it. It is important, he believes, not just to see Richard II as part of a tetralogy and the precursor to Henry VI, but in its own right as a great lyric tragedy. The 2nd September edition of MAD on Cartoon Network features the Time Lords in a sketch called Doctor Whose Line Is It Anyway. 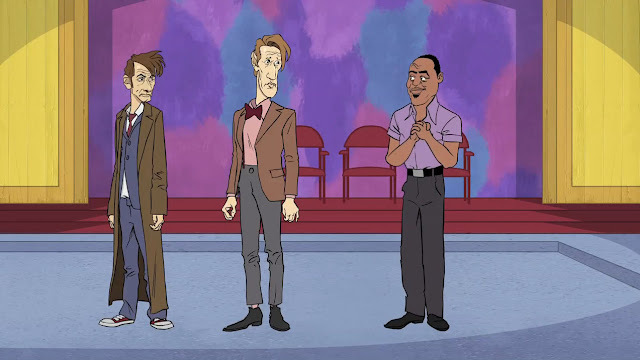 The sketch features likenesses of David Tennant and Matt Smith as the Doctors and Whose Line Is It Anyway regular Wayne Brady, though all are voiced by other actors. The show is presented by a Dalek and enjoyed by an audience of even more Daleks. As the host describes it, it's "...the show where everything is made up and the points don't matter — because you will all be exterminated!" The Daily Mail have named two upcoming David Tennant shows as TV for UK audiences to anticipate in the new autumn season. First up is The Escape Artist(BBC One). 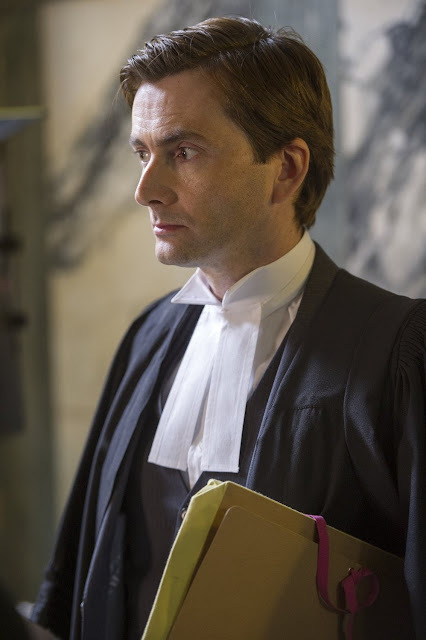 David Tennant - never off our screens for long - returns in this new legal drama series. He plays a defence barrister notorious for taking on hopeless cases and getting his clients acquitted. This time, however, he lives to regret saving a murder suspect from jail. Ashley Jensen and Sophie Okonedo also star in this gripping three-parter. It is believed that The Escape Artist will begin its three episode run some time in October. Also coming to BBC One is the eagerly anticipated Doctor Who 50th Anniversary Special. It's not just fan forums that are buzzing ahead of this Steven Moffat-penned special. 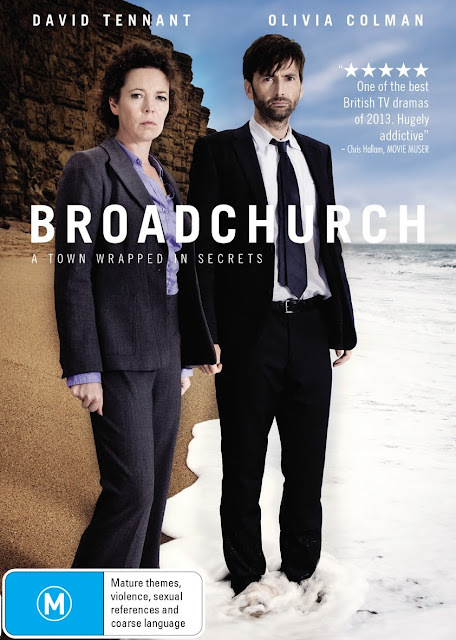 Broadchurch is released on region 4 DVD in Australia Today. 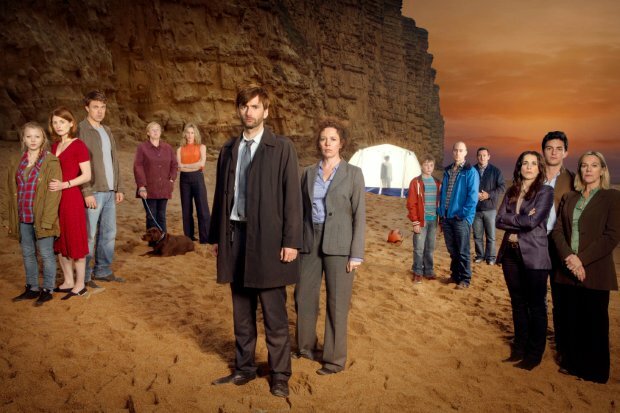 Broadchurch is an ITV detective series, involving the death of a young boy and the search for his killer, produced by Kudos and starring David Tennant and Olivia Colman. The first series achieved overwhelming ratings for ITV, winning critical acclaim and generating huge publicity around the whodunnit mystery. 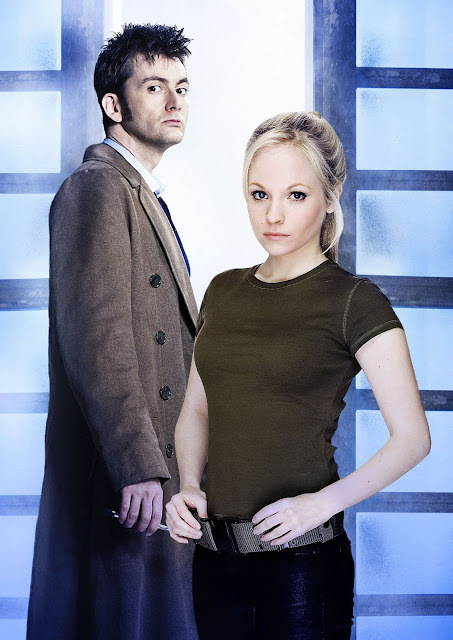 The series launched to an audience of 6.15m in the UK. Week by week this audience grew, peaking at 8.08m by Episode 4, until it helped the channel take out the #1 primetime slot against BBC One. Given its success in the UK, a second season has been commissioned and will be in production early next year. The eight part drama series Broadchurch, originally shown on ITV in the UK,explores the aftermath of the brutal murder of a child in a small seaside town in England. 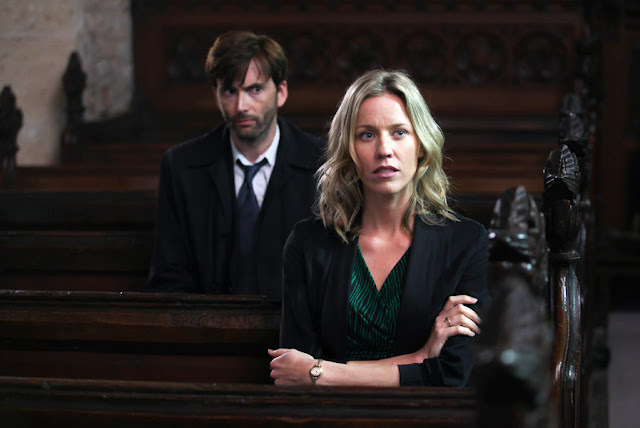 David Tennant and Olivia Colman star as police detectives Alec Hardy and Ellie Miller, responsible for solving the crime. But as time passes and the community comes under close police and press scrutiny grief, paranoia and suspicion start to tear the small community apart and the town starts to give up its secrets. The cast also includes Arthur Darvill, Jodie Whittaker, Andrew Buchan and David Bradley. 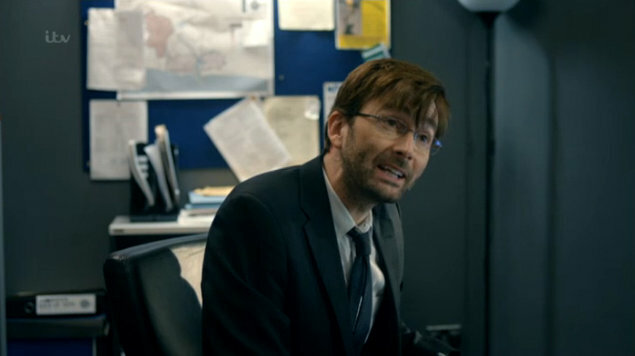 David Tennant and his co stars from the ITV drama Broadchurch have been nominated in the Specsavers Crime Thriller Awards 2013. To celebrate the 50th Anniversary of Doctor Who Digital Spy are running a poll to find out who is your favourite actor to play the Doctor. 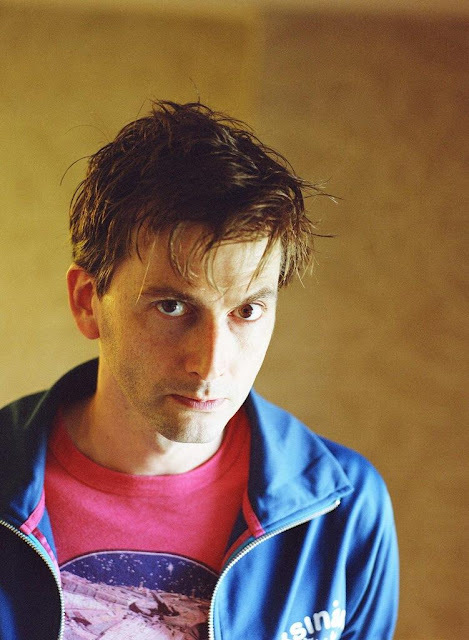 David Tennant is currently in the lead with 37.46% of all votes received so far. You can vote for David or indeed any of the other Doctors here. You can catch up with our Tenth Doctor 50th anniversary episode guide blogs here. Episode 4 of Broadchurch is now available to purchase via the iTunes US store. The aftershocks of Danny's murder continue to ripple through the town, as friends and neighbours’ lives come under scrutiny. Beth and Mark decide to take matters into their own hands to get news of Danny's murder into the newspapers. Starring David Tennant, Olivia Colman, Arthur Darvill, Andrew Buchan and Jodie Whittaker. The ABC website in Australia have posted an interview with Broadchurch star Simone McAullay who reveals she has signed up for the second series. Programme creator Chris Chibnall has revealed that he has started work on the second series but has not given any hints about plot or cast details, save that it will be very different from the original drama. Simone, who plays the flirty and outspoken hotelier Becca Fisher in the drama, was speaking to Richard Glover on his radio show on 702 ABC Sydney. "They want me to show my face in the second one, so that’s very lovely" she states. 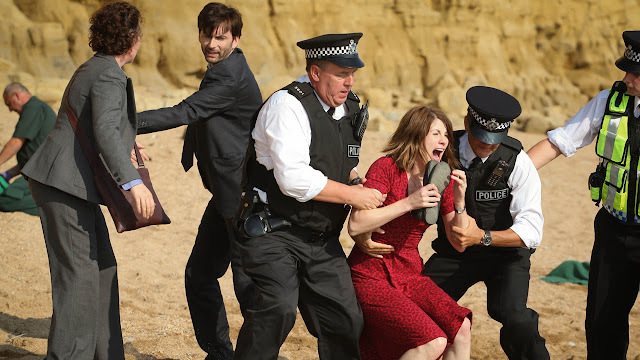 Episode synopsis (May contain spoilers) This week, as DI Alec Hardy (David Tennant) and DS Ellie Miller (Olivia Colman) come under fire, the people of Broadchurch start to turn against each other. Will a vital new piece of evidence lead Ellie and Hardy to the killer? "You're certain he's innocent, eh?" 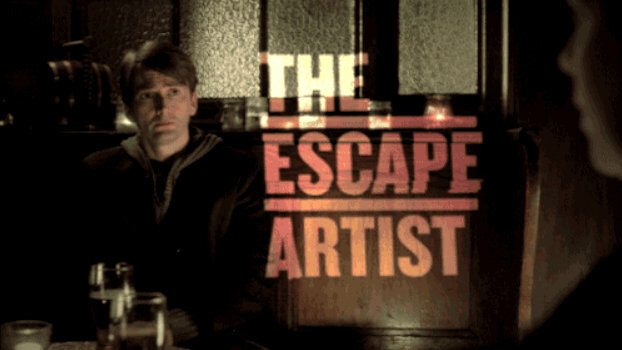 David Tennant's new drama The Escape Artist is now available to pre order on DVD via Amazon here. The legal thriller is set to air on BBC One during October and will be released on DVD in the UK on 28th October. 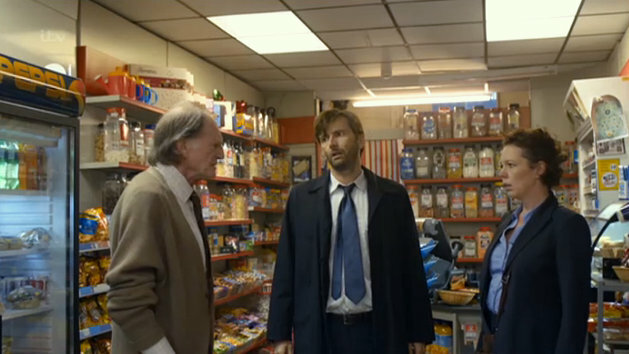 Swedish viewers will be able to watch the next episode of the thrilling crime series Broadchurch tonight. 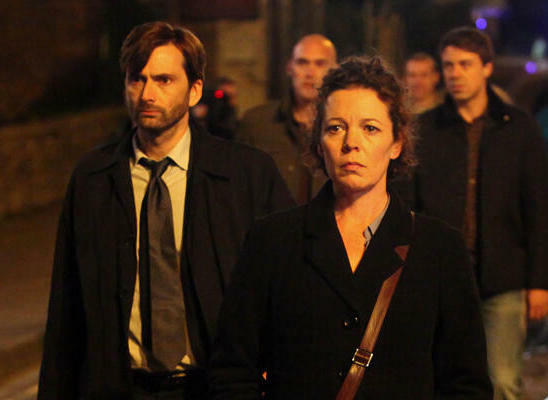 Episode 5 of the series starring David Tennant, Olivia Colman and Arthur Darvill airs on TV4 at 21.00. När en artikel publiceras om Jacks kriminella förflutna kämpar han med att hantera situationen. Invånarna i Broadchurch tvingas att välja vem de ska tro på, pressen eller Jack. Vissa går så långt att de startar en hatkampanj mot honom.Ellies son Tom hamnar i fara efter ett möte med Susan. Beth försöker hantera avslöjandet om Marks affär med Becca. Hardy och Miller rekonstruerar Dannys sista förehavanden för ortsbefolkningen i hopp om att det ska leda till nya bevis kring hans död. Entertainment Weekly have posted an exclusive clip from episode 4 of Broadchurch which premieres on BBC America tonight. In the clip, ambitious reporter Olly (Jonathan Bailey) questions newsagent and Sea Brigade leader Jack Marshall (David Bradley) about his secret past. Episode 4 The aftershocks of Danny’s murder continue to ripple through the town, as friends and neighbors’ lives come under scrutiny. The possible evidence that was burning at sea has been recovered and an investigation of a new suspect begins to unfold. Beth and Mark decide to take matters into their own hands to get news of Danny’s murder into the newspapers. Starring David Tennant, Olivia Colman, Arthur Darvill, David Bradley, Jonathan Bailey, Andrew Buchan and Jodie Whittaker. Read our previous Doctor Who 50th Anniversary Countdown posts here. 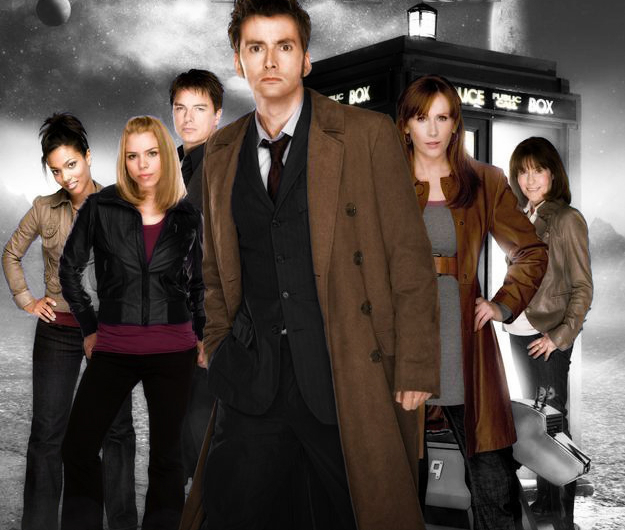 First Broadcast on 10th May 2008. Running Time: 45.10 Minutes. Viewing Figures: 7.3 million. Executive Producers Russell T Davies and Julie Gardner.